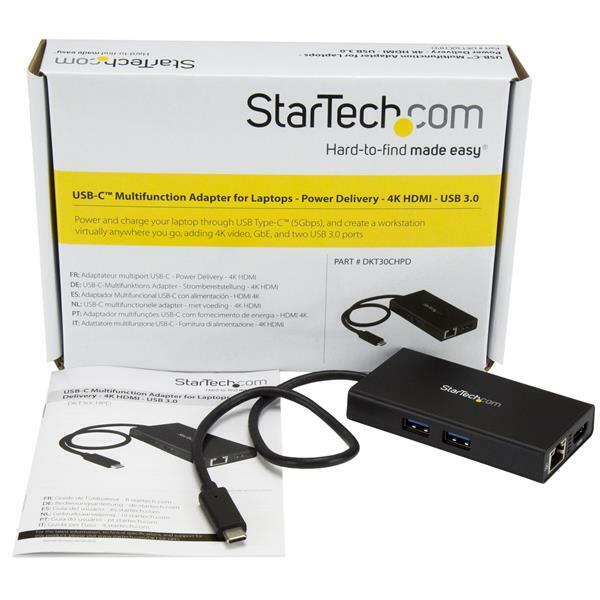 Turn your MacBook or Windows® laptop into a workstation, anywhere you go, with this USB-C™ multiport adapter with HDMI. 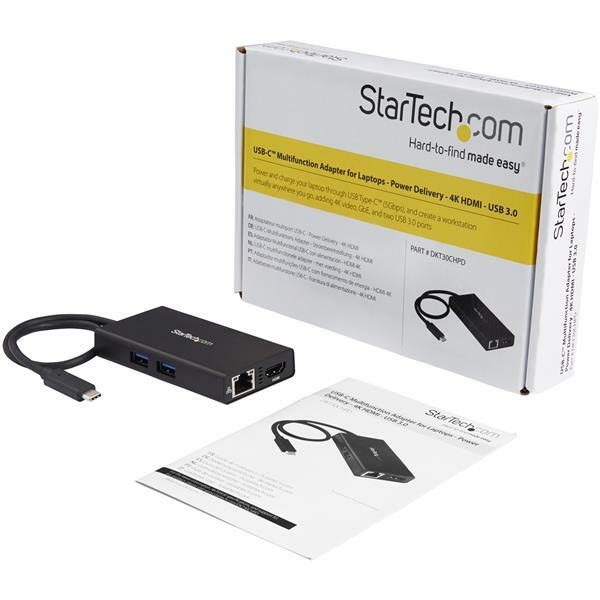 Connect your USB-C or Thunderbolt 3 laptop to a 4K 30Hz monitor, using this USB-C video adapter to create a dual-display workstation. Get more work done with an additional display, allowing you to multitask more efficiently or connect your laptop to an HDMI projector or TV for presentations in a boardroom. The portable laptop docking station features a USB-C Power Delivery port that lets you power and charge your USB-C laptop during a presentation or while you’re working. 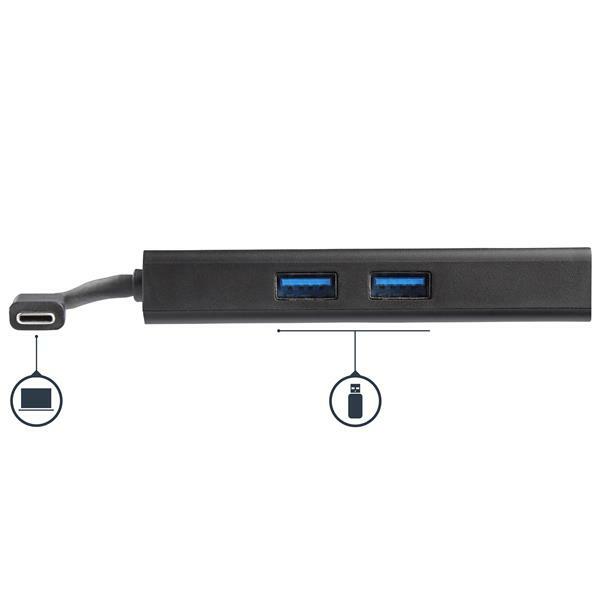 It’s perfect for port limited laptops with a single USB-C port. 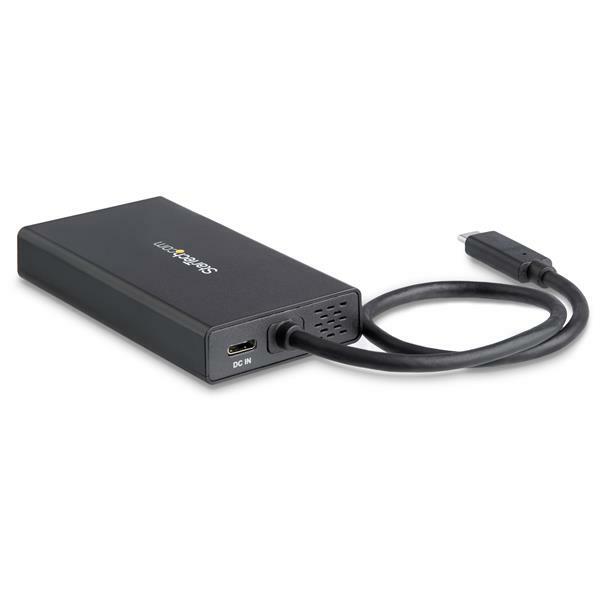 Even with the adapter connected to the laptop, you can still power and charge your laptop with a USB-C power adapter. 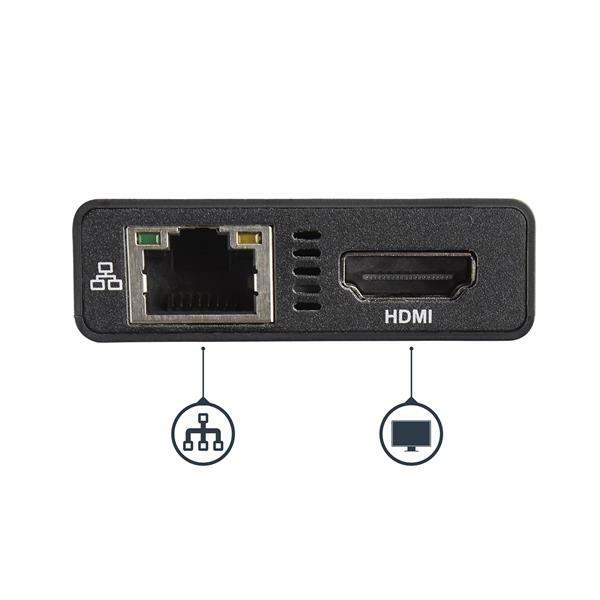 The 4K HDMI adapter gives you the connections you need to get more work done. 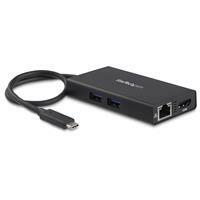 You can connect peripherals like a flash drive or mouse using the two USB 3.0 Type-A ports. You can also add wired network connectivity with the Gigabit Ethernet port, making it ideal in areas without Wi-Fi. DKT30CHPD is TAA compliant and is backed by a StarTech.com 3-year warranty and free lifetime technical support. 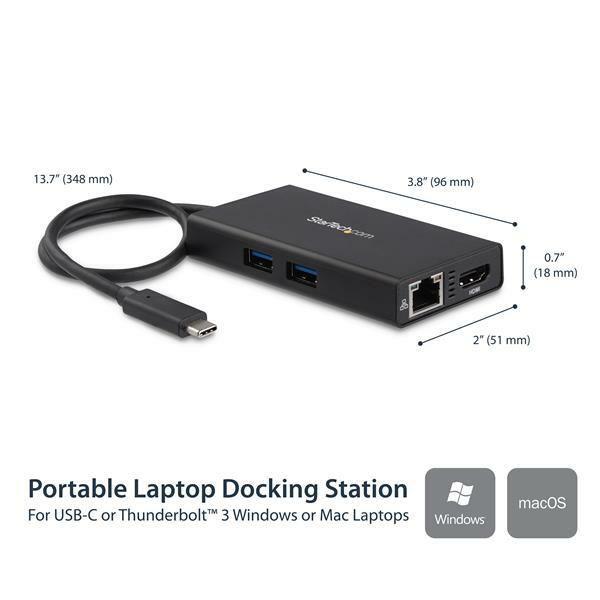 How do I install my laptop docking station in Mac OSX 10.9.x - 10.12.x?